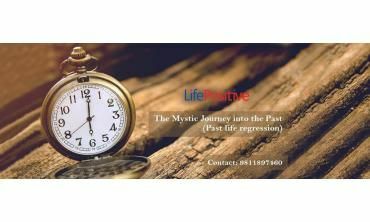 All our Past Life Regression events/trainings in delhi are conducted by certified Past Life Regression Therapists, who have at least one year of professional experience. When you book an event/training at Life Positive, you are protected by the Life Positive seal of trust. Greater Kailash II, Greater Kailash, New Delhi, De. . .
What is Past Life Regression? Past life memories are the autobiography of your eternal soul - personal stories that explain who you a. . .
47, Sector 41 Block A Road, Block A, Sector 41, No. 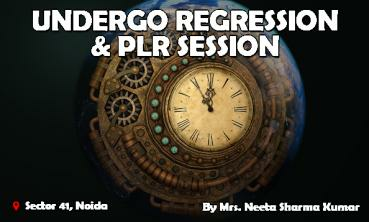 . .
Regression and Past Life Regression Regression is discovering and reliving earlier experiences that have caused present complain. . .
What is a Past Life Regression Therapy (PLRT): Past Life Regression Therapy (PLRT) is much like deep guided meditation, wherein you relax and allow your consciousness to . . . Taking Your Life from the Ordinary To The Extraordinary! Akashic Intelligence is the Consciousness of your existence since the time of the inception of your Soul that you are not yet awar. 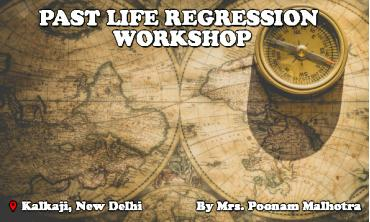 . .
Past Life Regression Workshop: Mystic Journey into the Past Who says that time travel isn’t possi. . .
Zorba the Buddha, Ghitorni, New Delhi, Delhi, Indi. 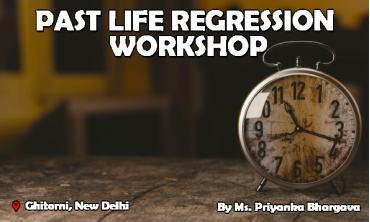 . .
Join us for this exciting workshop on Past Life Regression. Embark on a spiritual and inner journey within yourself to get to know yourself and your soul better! What is the purpose of My life. . .
First, please know that this is not voodoo or magic. This is your own soul's story. A soul can carry many stories. Your present life is one of them. At times, characters overlap. This is when you experience ups and downs and you don't know why. Your emotional being impacts your physical beings. Everybody deserves a fulfilling life. Then why are most of us tangled in the web of emotions? A big chunk of the population carries injured souls inside bodies. Stop asking “why is this happening to me?” Get the answer. Past life regression and training in Delhi will help you. You need no doctor's prescription, need no equipment. Just faith in your therapist and the healer within you – your mind. The therapist puts you in a relaxation mode. You enter a trance-like state. He or she directs you towards a “staircase” that leads you to your past life. People who had undergone past life regression and training in Delhi report that they felt emotions clearly – they cried, laughed - physical pain, and witnessed the scene clearly like an OBE (Out Body Experience). Some reported that it was like they were dreaming, but this time, they could feel everything. You can also get past life regression training in one of the classes. Here is your chance to be a therapist! PLR may not always give you a precise answer to the “why's” of your life, but it helps you understand and find a connection between things happening in your life. After the session, you feel more mature to deal with estranged relationships. The therapy helps in anger management. It can even help you forgive somebody who hurt you. People who do not believe in incarnations and past lives, rebirth, and the impact of emotions on the body must definitely try past life regression. You will realize how wrong you were! For example, there was a man who had a phobia of water. He couldn't swim or even go near the water. He was even unable to soak in a bathtub! A PLR session revealed that he had died in one of his earlier lives by drowning. The trauma of drowning was imprinted in his soul. It was carried in his present life and manifested as fear of water. Past life regression therapy helps you find the “human” inside you. So, if you know somebody who is in pain – physical or emotional – help them through past life regression workshops. Give your life a new dimension. Change your life's outlook. You can also learn this alternative healing therapy. Past life regression training in Delhi is available near you. Become a certified healer. Get certificates (wherever applicable) for classes.
" "Everything about the workshop seemed to be logical and meaningful. The trainer was absolutely clear about all the concepts and explained even tricky concepts in simple terms. Many many questions were asked by the group and Karishma was able to clear all the doubts. She gave personal attention to each and every person. Could not find any flaw."" " I attended Healing with Akashic Records. I was surprised to realize how our thoughts and core beliefs create our reality. What more surprised me is how these events are registered in our cellular memory and passed from one generation to another. Intrigued to understand more, I also took personal therapy session with her. Aakshic records reveal so much more than i thought I would have ever known about my Soul journey!" " It is amazing how the trainer links up Science and Psychology with Soul and Karma. " " The workshop blew up so many areas I need to work upon, most of which were alien to me and I could never understand where the core issues were hiding. Thank You so much for enlightening us." " The workshop was self-revealing. The concepts were easy and made crystal clear by the Trainer. Karishma is amazing, she is full of creator's energy. Amazing that she is! The workshop was consistently practical, full of hands-on exercises. Loved every bit of it!" " "A self revealing and crystal clear orientation of the workshop. Karishma is so full of the creators energy. She flows through the tools and techniques of the event. It was a consistently practical session which took me back to the self. Amazing experience.""